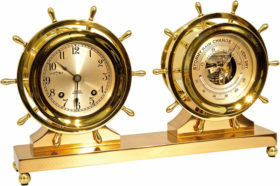 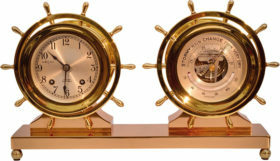 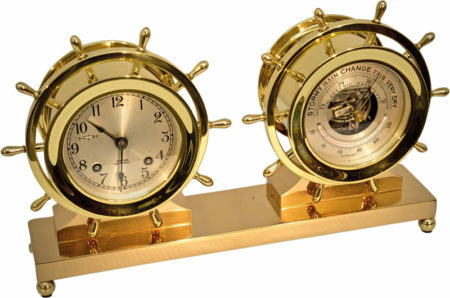 American Chelsea Claremont clock and barometer set. 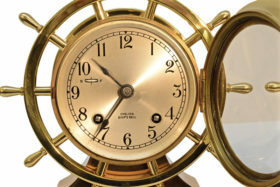 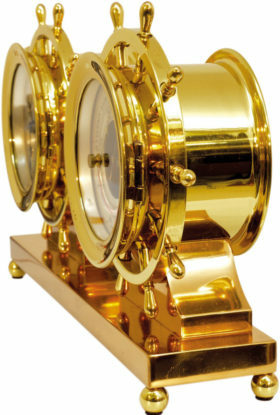 This clock is done in drop forged brass with ship wheel spokes. 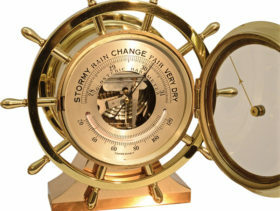 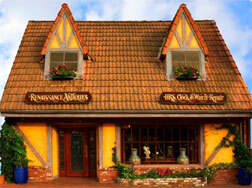 It houses an 8 day jeweled clock movement with a ship bell strike, and a skeleton dial barometer with thermometer.